Jetlag is a modern invention, isn’t it? Maybe invention is the wrong word- a modern scourge? Self-inflicted discombobulation? Today is my fifth day in a time zone nine hours from my home zone, and I’m still waking before dawn, or before the next door mosque calls worshippers to fajr, the first prayer of the day which warbles across their loudspeaker at 5:00am. Day Five of jetlag, and I envy the pioneers, that mythic group of Americans forever immortalized in the black-and-green computer games of my elementary school years. Oregon or otherwise bound, they had the opportunity to bump along in their wagon or on horseback, leaving their old self in their old city and slowly crossing the ebbing plains of the Midwest to emerge in a new place. Just as in the computer game, the scenery must have plodded by, fraught with both danger and boredom, slowly allowing the traveler to adjust to the new environment, as if breaking in stiff leather shoes. The first stage blisters, pokes, chafes, and pains – but slowly both the people and the environment would adjust in unison, as those wagons, packed with salt pork and extra axels, dysentery and fur pelts, would travel up to 4 miles per hour on even terrain (source: my memory of the fourth grade. See also: California missions and manatees). For that time, it must have been a good speed for transition, for a world just wakening to electric lights and the telegraph. But since, long since, we have accelerated, making our travel faster and our adaptation like a disease that we must battle for months. Or about two weeks, as is usually the case for me. We must shift more quickly, making culture shock all the more painful. 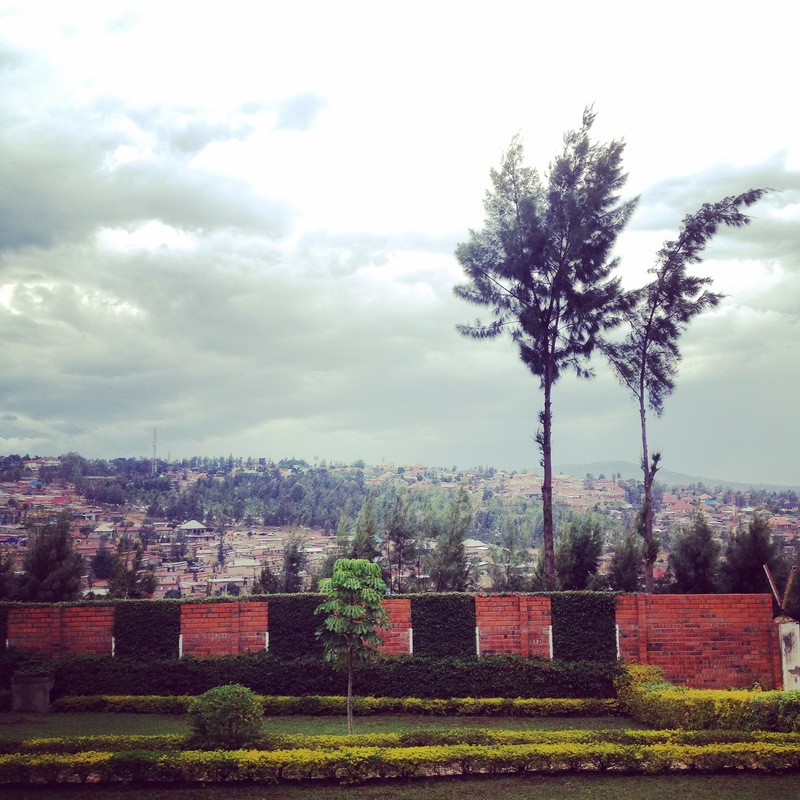 This week was my first back in Rwanda after two months at home. I got off the plane to greet the same immigration officers, the same airport, the same crunch of taxi drivers at the arrivals exit. I met my same contact, the Cultural Affairs Officer from the U.S. Embassy in Kigali, and got in a car to wind down the same hills. My life has changed- in some ways, very drastically and physically, but the sky is the same color and the city hasn’t changed. Only I have. Airplanes are too fast, I think. The pioneers had time to internalize their change of environment, to adapt to the new reality. We move too quickly now, cutting down the journey but still forced to endure the change, resulting in jet lag and culture shock, alienation from the surrounding society that follows the graceful honeymoon period, and the realization that you are now the other. Months of immersion, if only that, draw the traveler into a new reality. This summer reset my clock, and I’m back to searching for where I belong in my old/new reality. This year, I am joined by two more English Language Fellows and three new Fulbright English Teaching Assistants. I have a new job, I’m working in a new city, and I’m starting a new life- just as I was a year earlier, though the challenges of the past twelve months have constructed a foundation from which I can better begin. I’ll live in the capital city, Kigali, a change from my more rural Musanze. But already, it’s a new life in a new place. The six of us spent the week coddled in the air-conditioned comfort of the Embassy, listening to guest speakers, exploring American English materials, and practicing Kinyarwanda. Now we are fully oriented, and two have left for their positions outside of the modernity of this city. I’ve settled into a new apartment. Here, it’s louder – the sounds of a saw hum outside of my window, the traffic blazes past, banging and pounding evidence a city constantly under construction. Here, the air is denser than in the mountains- it’s somehow smoky, and the view out my back window is no longer volcanoes but the downhill side of Remera, patchworked not with rutted farm plots but sienna-colored tin roofs. Instead of taking a moto to a Western-style grocery store this morning, I walked to Kimironko Market, my first time to one of the local covered markets in the city, bigger and brighter and bolder: my sleepy Musanze market on steroids. 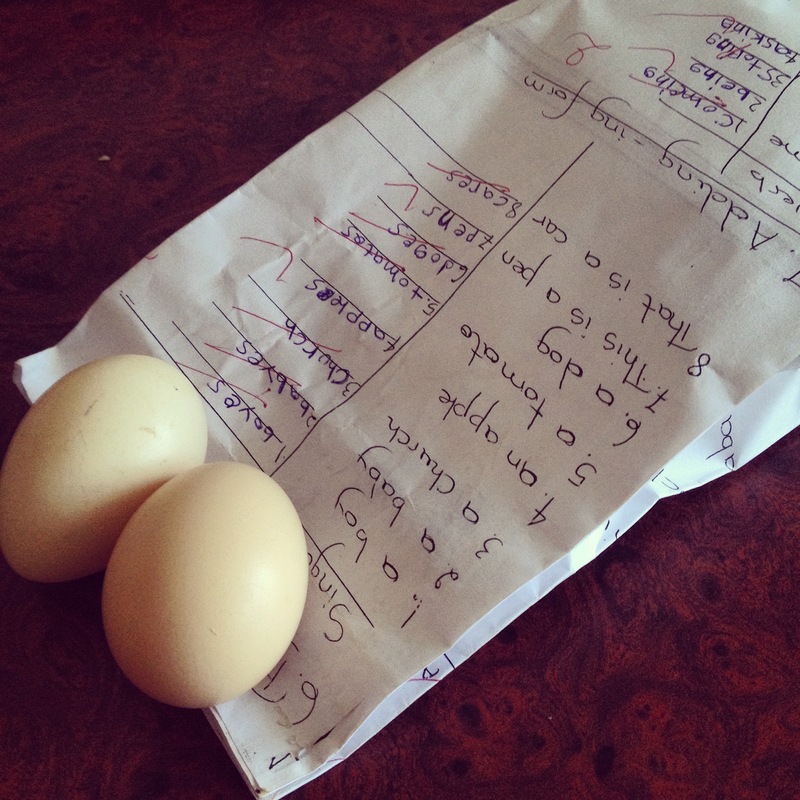 There, I bartered ferociously over the price of tomatoes (now that I know better) and purchased my favorite local eggs from a woman at a corner stall, the ground and her block piled high with cardboard cartons.